One of the world’s most elusive big cats: the snow leopard. There are about 5,000 snow leopards remaining in the mountains of central Asia; and it is believed that 60% of the entire population live in China. With unprecedented access to the isolated Qinghai-Tibet Plateau, this film is in a unique position, filming for years in the best snow leopard habitat in the world. Chinese photographer and Emmy-nominated filmmaker Xi Zhinong is working with local mountain rangers and photographers to offer new behaviour, insight and breath-taking photography. The average elevation of 4,500 meters makes the Tibetan Plateau the world’s highest and largest. As well as the snow leopard, there are rare lynx, Tibetan bears and foxes, pika, Chiru antelope, wild yak, Kiang, cranes and exotic pheasants, and Himalayan musk deer, providing background, dangers and opportunities for both cat and man. Young herders Ci Ding and Da Jie and their ancestors have lived here for generations. Despite their best efforts to guard the family livestock, attacks by snow leopards occur every year. Ci Ding and Da Jie work as rangers, following leopards, helping to protect the wildlife in the area for months at a time. They became snow leopard photographers, initially using their phones as cameras. Moved by their enthusiasm and dedication, in 2017 Xi Zhinong agreed to buy them proper professional camera equipment, and taught them professional wildlife photographic techniques. Over the first year testing out their new equipment, Ci Ding and Da Jie each made a quantum leap in their abilities. With their unique access and new-found skills, they have managed to record exciting aspects of these creatures’ lives. 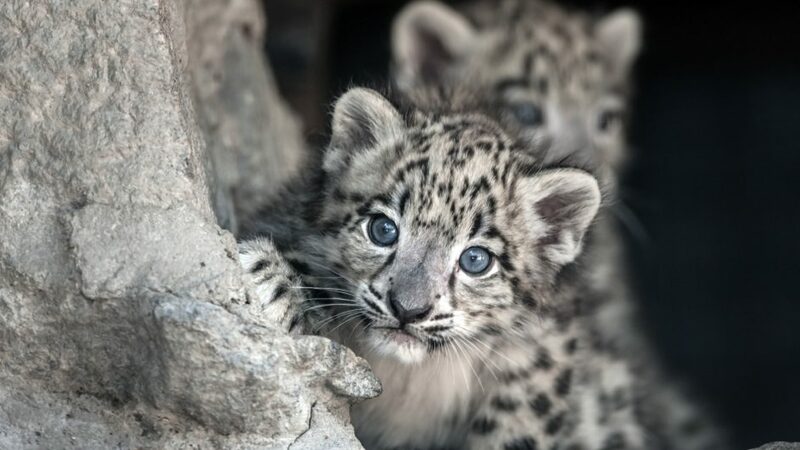 This one-of-a-kind documentary will portray the many facets of the snow leopards’ lives; from hunting techniques, conflicts between animals and humans and territorial fights between males; from courtship and mating, to, eventually, raising their young. Xi Zhinong and this team are on the snow leopards’ tails.